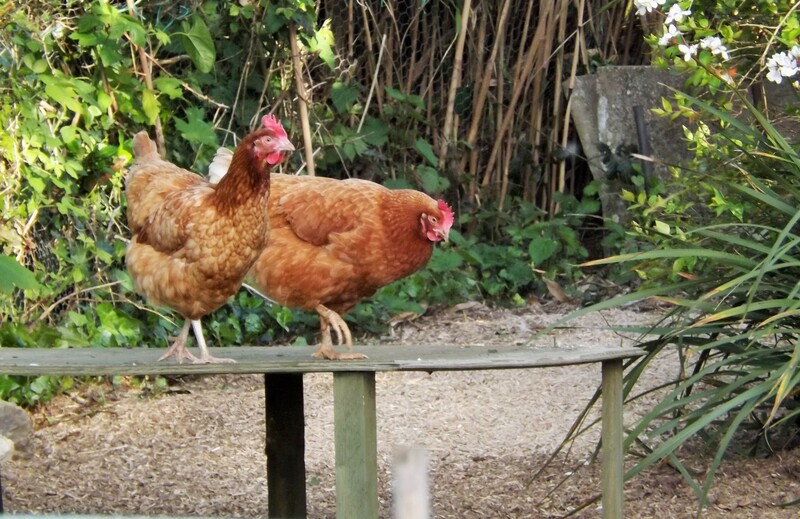 Earlier this week I tentatively launched a crowdfunding campaign to raise money for a new plastic coop and run for the girls of Effie’s Garden. I wasn’t sure at all about doing it, but I am so very glad that I did!! To say that I am overwhelmed by the love and support I have received is something of an understatement. In fact, I am quite humbled and rather emotional. To all of those who have helped us, thank you from the bottom of my heart. I have wanted to replace the Big Girls’ old wooden coop for a while but any attempt at saving was thwarted by vet bills, food bills etc. Henderlay is too small for all the girls to sleep together, and I currently have a chickenopolis of coops donated by lovely people, but I wanted all of my girls to sleep together and in safety, first and foremost, but also in the comfort they deserved and for me not to have to worry about red mite. I had heard about crowdfunding but, as my father said, it is just begging online, so was very concerned about asking people for money. 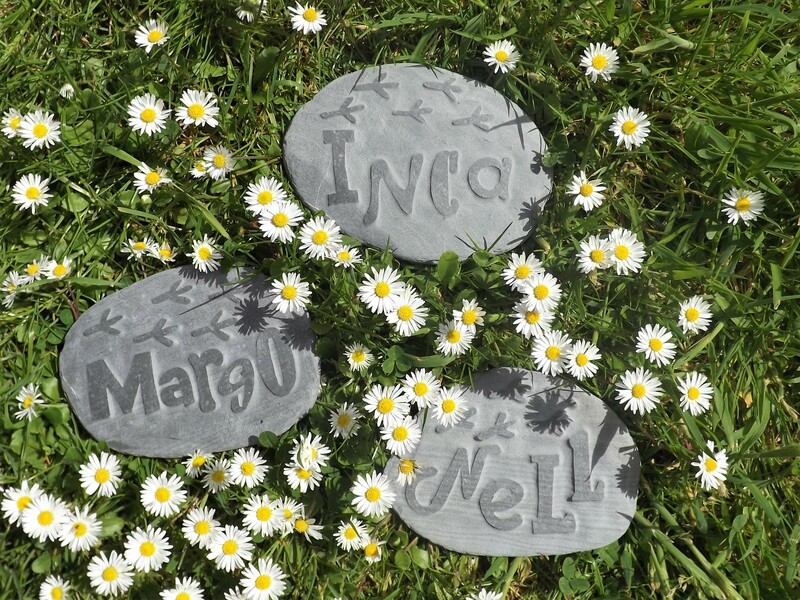 Well shame on me, because in only a few days, we have raised over 80% of the total target with many, many wonderful messages of love and support about how people had been inspired by Effie and her story. And that, you see, is what has touched me the most. Effie died almost a year ago and her loss is still not any easier to bear. 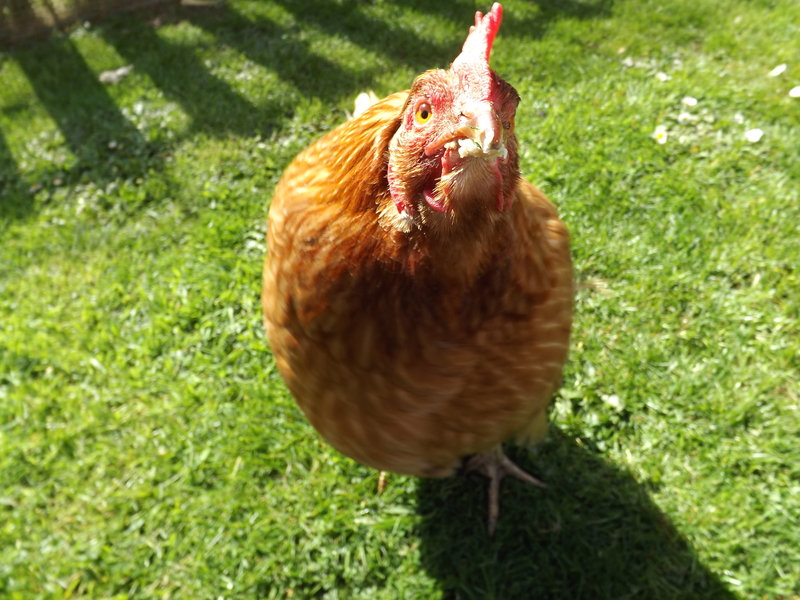 When she died, I found great comfort in the fact that her story had inspired so many wonderful people to rehome ex-battery hens. 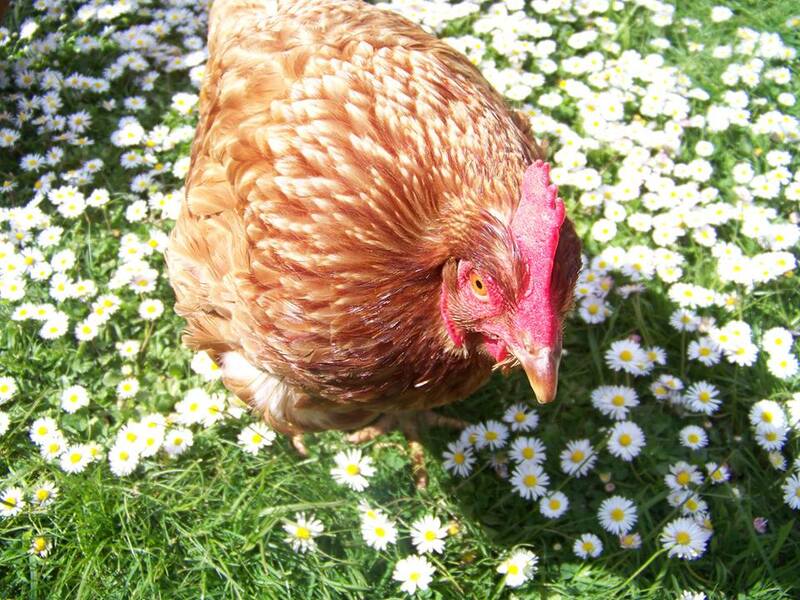 So many hens are alive today because of Effie – it is a big legacy for the little hen with a broken neck. 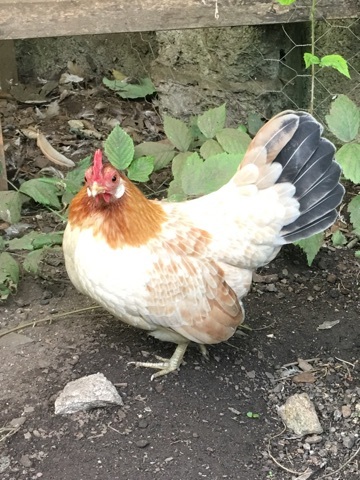 Effie’s Garden, our microsanctuary, was started because I needed to celebrate and commemorate the life of this very special hen. 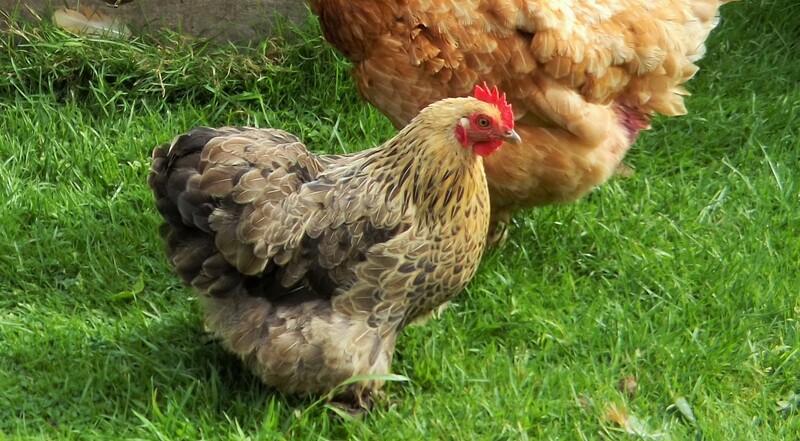 Because she wasn’t just a hen, she was a survivor of a system that is so cruel and so inhumane that it breaks my heart every day thinking of what all those potential ‘Effies’ are going through. She symbolised all the suffering and abuse that is inflicted on these poor girls, but more importantly she symbolised all the strength of spirit and will to live these girls have; the same strength that made her overcome her emotional and physical demons and enjoy life as a free girl for over three years. Quite simply, she was everything. 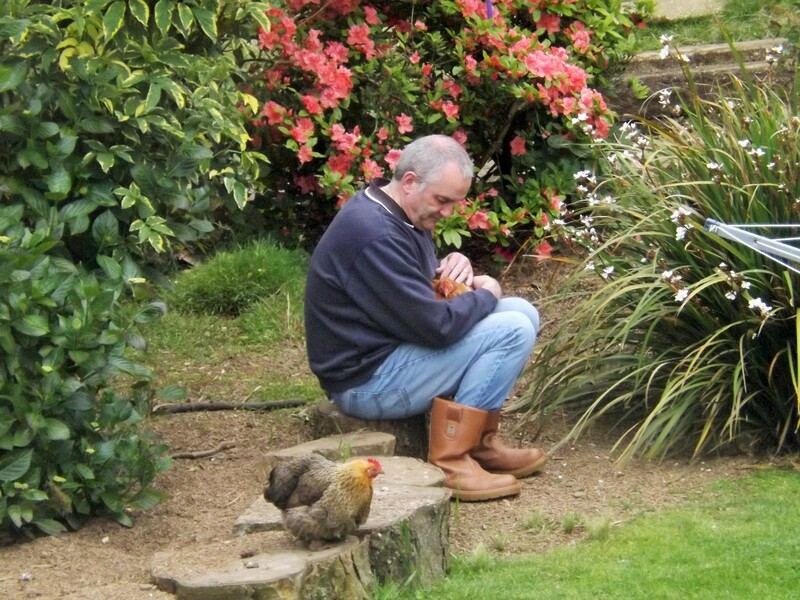 She changed the lives of so many hens and she changed our lives too. There will never be another Effie, but her spirit and her story will always live on. So to those that have helped us I am forever grateful to you and am currently thinking of ways in which we can thank you all properly. What is a girl to do? 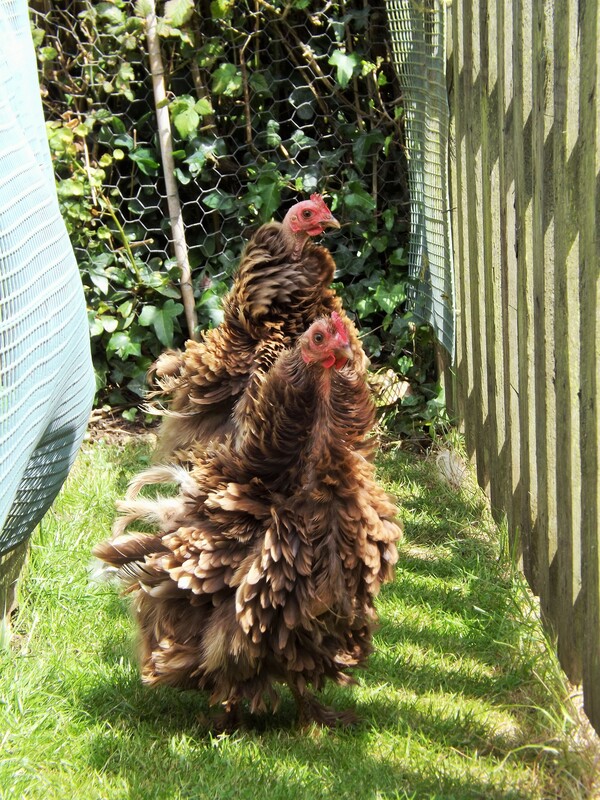 With her BFF and bantie-in-waiting Lemony Bantam broody, Effie was left alone, kicking her heels in her private garden. 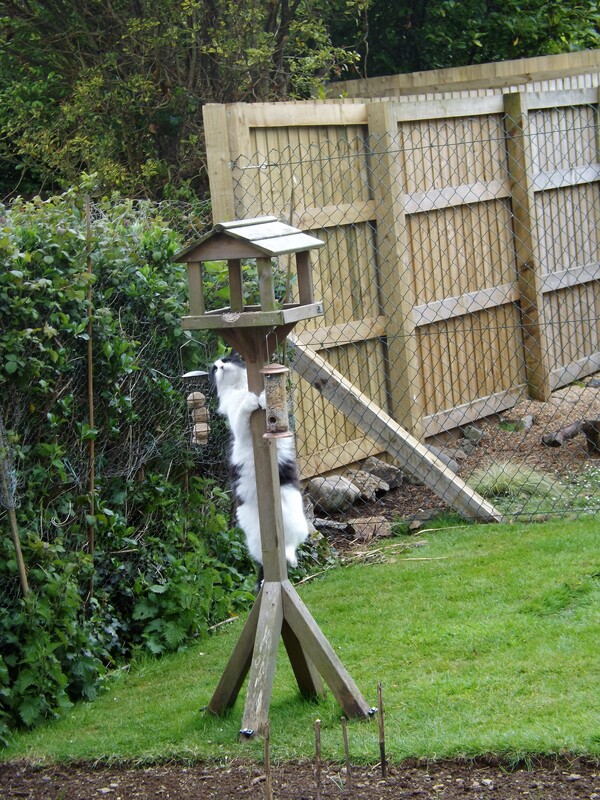 However, it wasn’t long before Effie remembered her elevated status in the Rosewarne household and decided to set up camp in the Human Coop. 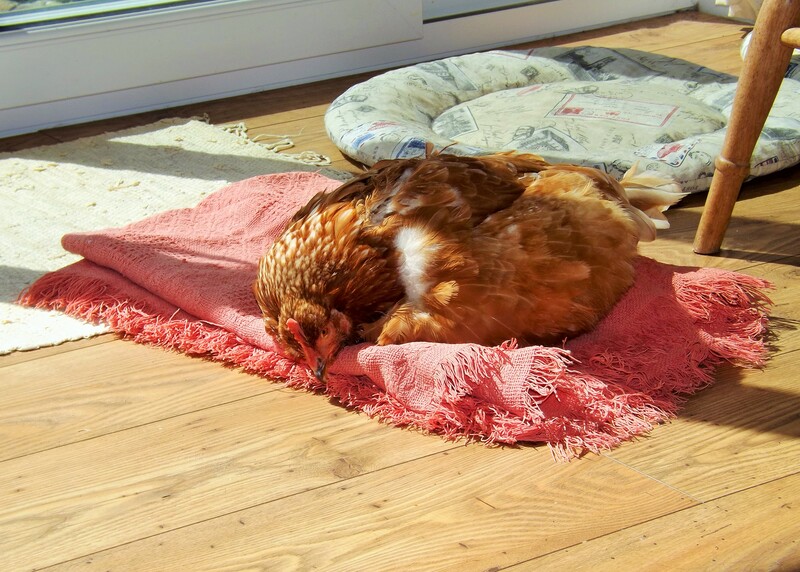 This little summer sojourn involved her favourite blankey being laid out in the sunshine and her bowls of food and water (she insisted on my blue Denby ones of course) placed just inside the patio door – which naturally is left open when the humans are around so she can trot out for a brief turn around the grounds should the mood take her. 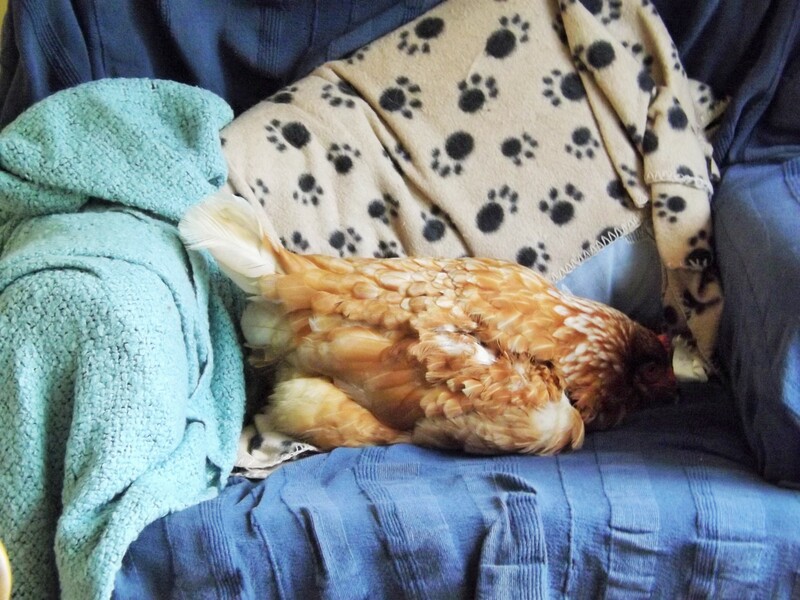 Effie has quickly become accustomed to her new lifestyle as a house hen – in fact she started her free life in the Human Coop and has always thought of herself as human – and potters about quite happily. 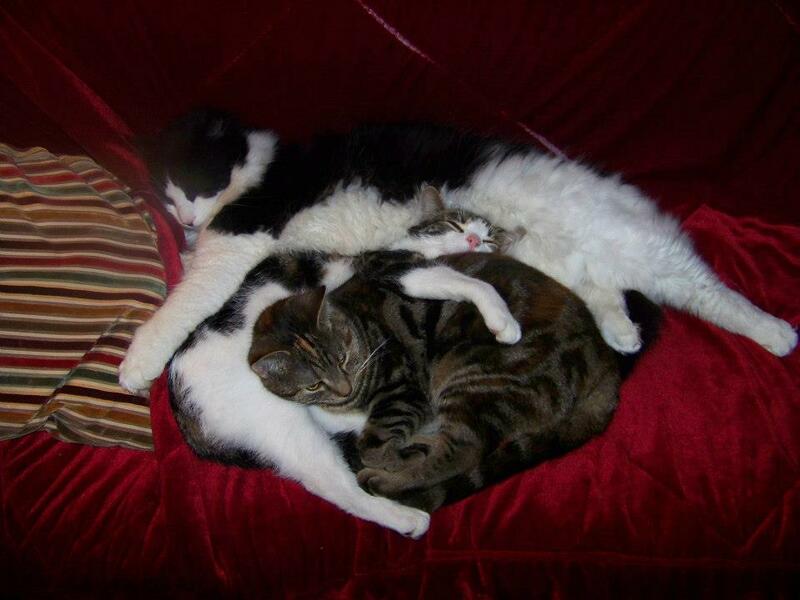 The cats have chosen to ignore her and I often find all five cats and Effie contentedly snoozing on various chairs, cushions and blankets around the dining room. Clooney cat is even brave enough to drink water from Effie’s water bowl. 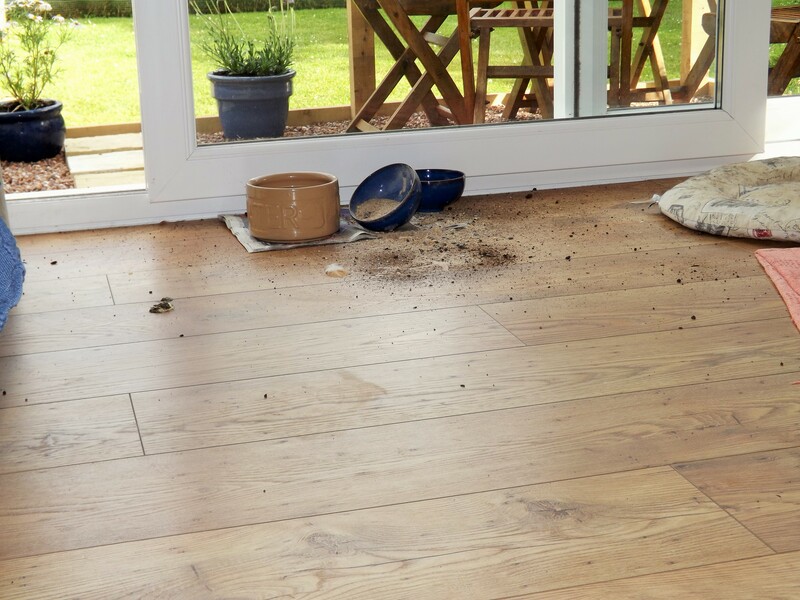 The downsides of having a House Hen are firstly the mess – food , hendruff and feathers scattered across the floor – and secondly … the mess, there have been some very unladylike deposits! A nightly sweep-up easily sorts out the first issue and kitchen roll and anti-bac spray the second. The photo below shows one particularly messy episode after she had her post-dust bath preen and kicked her bowls over in the process! However, the upsides far outweigh the down: her little feet clattering on the floor as she comes to greet me when I get in from work; the way she follows me around the Human Coop, hoovering up dropped crumbs as I am cooking; the way we share breakfast every day and she dozes at my feet as I am working on the laptop; watching her as she sleeps, totally relaxed, safe and happy and purring (yes I know) gently; the way she lets me help her preen the quills of her new feathers that her poor neck won’t let her reach; finding she has put herself to bed at night snuggled up on an armchair and the way she will cuddle into me when I carry her out to her coop to go to bed with Lemony. Having my Effie inside these past couple of weeks has been an unexpected joy; I am all too aware that at three-and-a-half years’ free every moment with her is a gift, this fortnight has been a truly magical one and I have cherished every minute. 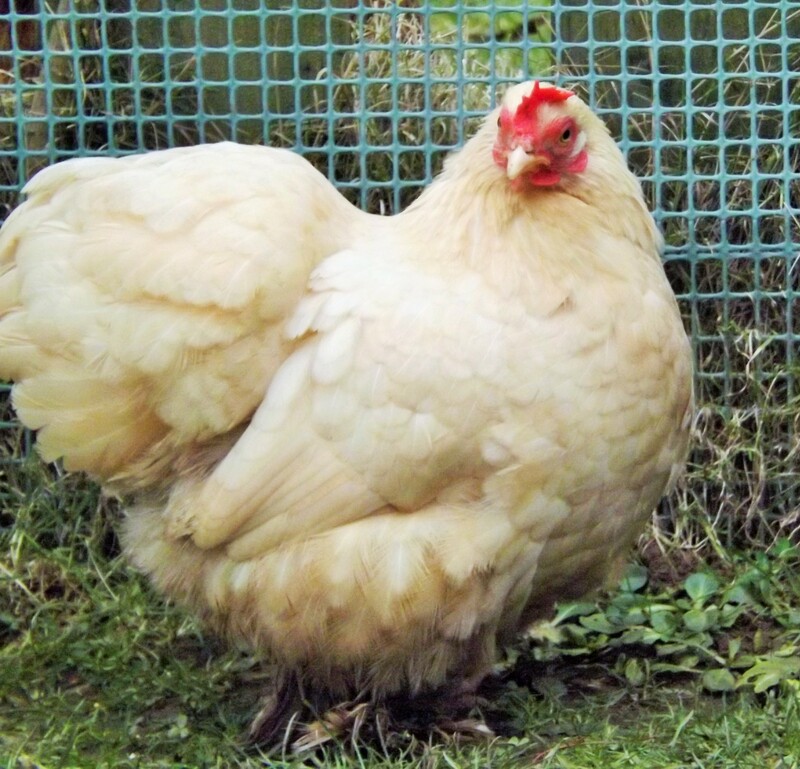 Very soon, Lemony will finish being broody and will be back out in the garden again wanting her beloved Effie by her side. 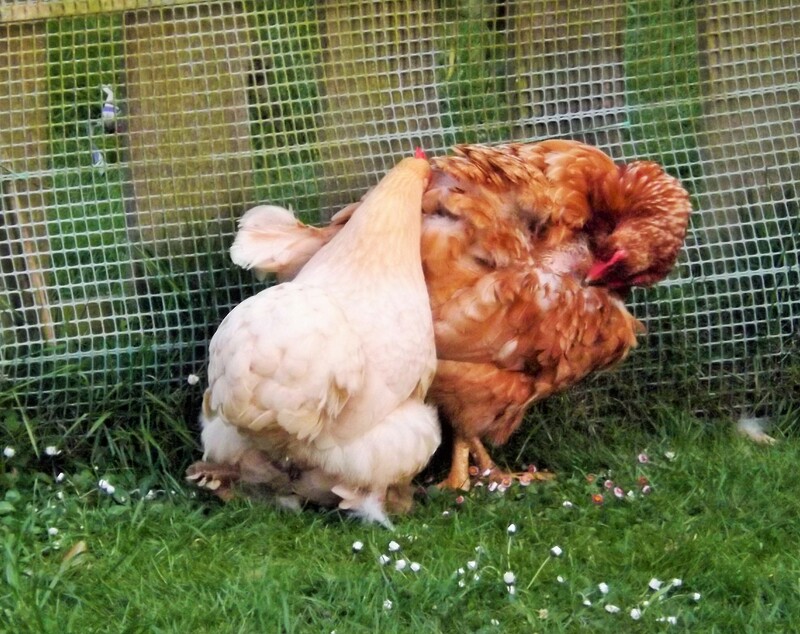 And, quite rightly, Effie will want to go back into the loving wings of little Lemony. A big part of me wishes she could always stay inside but I am just being selfish. Effie’s happiness is all that matters, after all. An Award for Effie …. 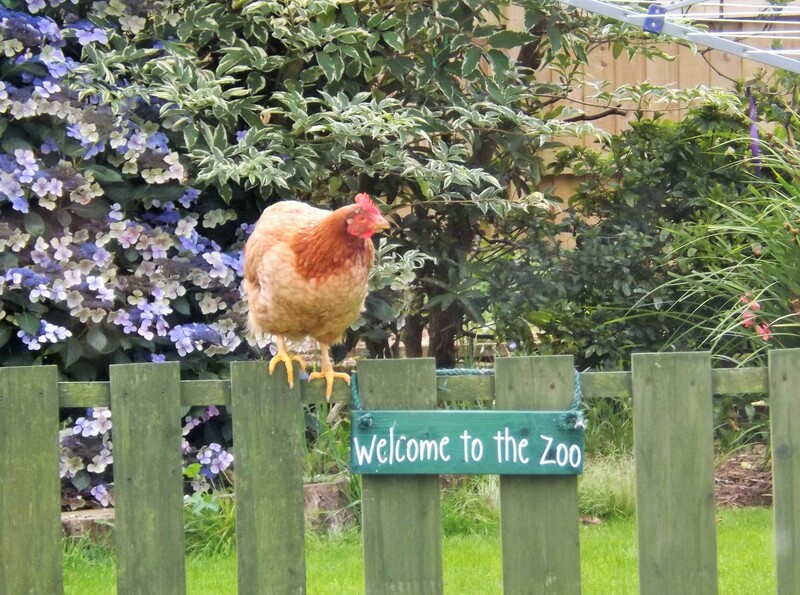 We are immensely proud to announce that Miss Effie Chicken of Rosewarne has been awarded The Amazing Animal of the Month Award by Good News Shared. 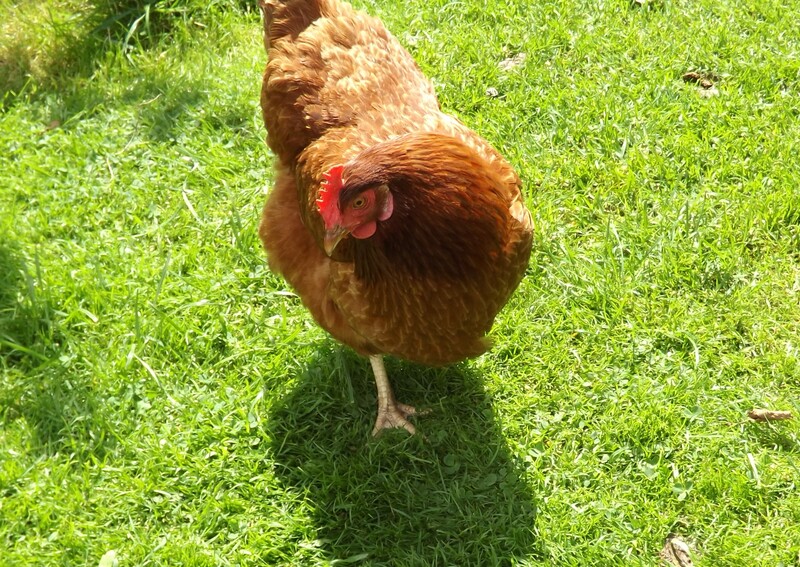 She was nominated by the lovely people at Compassion in World Farming, who after reading Effie’s tale fell in love with her. And who wouldn’t! 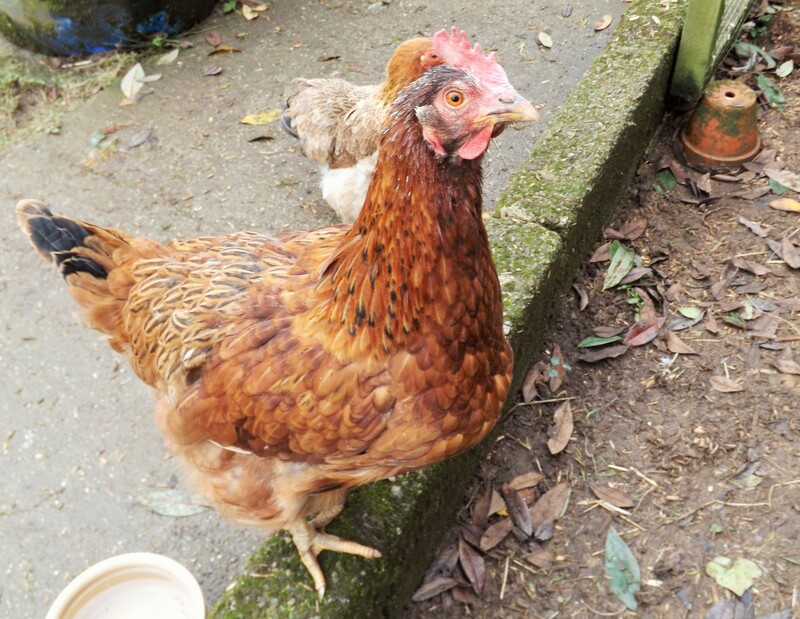 Effie is an amazing ambassador for ex-battery hens and her story has inspired many lovely people to rehome their own ex-batts. 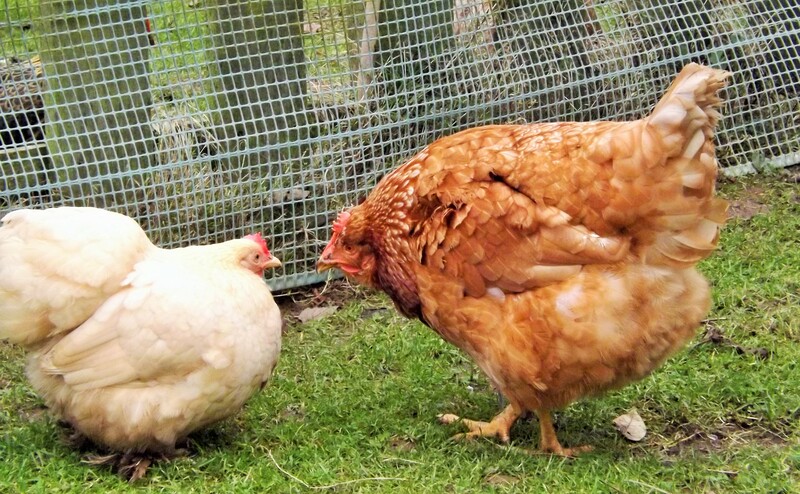 She has shown what big hearts and huge personalities hens have and every person that realises this and has their own hens or stops eating chicken or only uses free range eggs is a victory in the battle against intensive farming.